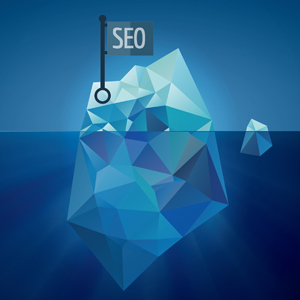 What to look for in an SEO plan. When we submit website proposals for prospects, we include information about SEO. However, the question is: how much does someone really need to know? Or more importantly, how much do they really WANT to know? It obviously varies among individuals. The types of things we address visually in our proposals are the very basics: Page Titles and Keywords. For a quick overview of what those, watch the first 40 seconds of this video on Page Titles and Meta Descriptions. Using Google's Keyword Tool, we then show the current number of searches in their city, in the past 30 days for that exact Page Title's keyword. Because Page Titles are the first thing Google looks at on any website, it’s valuable real estate in your website. We also believe having your business name in the Page Title isn’t the best use of this area. Why? Because, if someone knows your company name, they’ll find you when they search that, because your site is the only site with your name in it. Better use can be made of your Page Titles by using other SEO terms for what you do instead of your name. And when Page Titles are unique on each page – and relate to the services covered on those specific pages – it can only help your website show up better in search results. The screen shot above shows the searches for keyword phrases used by people searching, in Los Angeles in the past 30 days. Of course, these are only a sampling of the relevant search terms for their services. We do a search for all keywords that relate to a businesses' services, because every page needs to have different, and unique, keywords that relate to the content on that specific page. Incorporating these keyword terms into this website's copy and blog posts, can only help a business' Google ranking, directing people to their website, searching for exactly what it is they do. As you'll see from the screen shots above, between the keyword phrases used in their current website's Page Title, vs. the keywords highlighted in the bottom screen shot, there's almost 4,000 MORE searches in the past 30 days! That‘s a ton of monthly searches (which shows their services are definitely in demand). So why wouldn't someone want to go with good SEO? Only because they don't know what good SEO is. Over time, using these keywords, and others, they could potentially start ranking for lots of searches a year. Does that mean 500 new clients? Probably not. But what if getting prospects to a dynamic new website meant adding 50 new clients a year? That investment in SEO would have been worth the price. We recommend clients use the phrases we research in their blog posts so search engines continually re-index their site associated with those keywords. By associating these phrases with their new website, search engines synapses' will make the connection, and will be able to rank their site for those specific phrases. SEO’s goal to have people who don’t know your name, find you in a Google search. Using the correct keywords, and knowing how to use them, is critical. Better Page Titles (as shown above). Read more about Page Titles here. Better Meta Descriptions (as you've learned about in the video above). Read more about Meta Descriptions here. Naming images with keywords (see screen shot below) Read more about naming images for the web here. Using keywords in the Alt Text fields (see screen shot below). Alt text meets the requirements to make your website a universally-accessible website. For those who are visually-impaired, they might not be able to see images on a website. However, even if your audience isn't visually-impaired, doing this brings your website up to the universally-accessible standards that is a ranking factor for Google, so there's no reason NOT to do it. Read more about the importance of Alt Text Fields here. Add specific pages with search terms as the headlines to help people find a page that matches their exact search query. These pages might not appear on the navigation of your website, but they could be accessed through Google AdWords or search queries. This would add headlines as important H1 tags. Click the image below to see the actual page on SSK Plastic Surgery's website. Review the site for broken links (404’s) or any temporary redirects (302’s). There are online tools for this such as Screaming Frog or Link Sleuth. Make a website an https site. See why Google uses https sites as a ranking signal here. If you have multiple locations, having a unique page for each location is important. On-page optimization helps leverage your different locations to your advantage. It allows us to target the geo-location with local SEO. Encourage more Google+ reviews by having you email requests to your clients. This CANNOT be done from a PC or tablet in the clients' office. See the list of the red flags for getting Google+ reviews here. Make sure there aren’t two similar URLs like www.yoursitename.com and www.yoursitename.com/home.php or www.yoursitename.com/home.asp. There should be only one version of any URL, otherwise you might be penalized for duplicate content. Google incorporates site speed into its search rankings, which we mentioned. Read why Google uses page speed as a ranking factor. As part of an SEO package, once a month we review SEO terms to see if any are trending and add that page to the site. We do, of course, require input from the client as well in this area. If they're aware of new search terms based on their customer interaction, we need to know that. That a website will be on page one by a certain point. The quality of inbound links (our proposals only cover SEO that is ON the website (things that happen OFF the website are SEM ~ Search Engine Marketing, a subspecialty unto itself that we don't do ourselves, but can recommend firms that do this very well). Quality and length of blog posts (unless we were to write them). SEM (ie: running Google AdWords). If you're looking for a Columbus website design firm who can take care of your on-site SEO, then contact us and lets talk.